Suddenly, a memory from around 30 years ago came tumbling to the forefront of my mind. A missionary friend of mine was home for a few weeks, and I will never forget something he shared with me. While home, he was to speak in churches about the work he was doing in Egypt and hopefully raise support; that’s what missionaries did in the ‘80s. The poor guy was exhausted, burnt out and discouraged. He admitted that, apart from sermon preparation, he had barely read his Bible for weeks and he was afraid of going back to his missionary post in Egypt because it was very dangerous and terribly lonely. For his first week home, he had booked into a cheap seaside hotel, specifying that he wanted a sea view. He thought a calming view and sound of the sea might ease the ache in his heart. He had grown up in Brighton, and had always had his most meaningful encounters with God at the sea. It was nighttime when he was shown to his room, after speaking at two church meetings, so he didn’t unpack, he just changed and brushed his teeth, then pulled back the curtains to see if he could catch a glimpse of the sea in the dark. To his abject disappointment, his request for a sea view had been ignored by the booking agent and his window was only a few feet from the huge, looming wall of the office building next door. Thinking of Deuteronomy 31:6 and feeling encouraged, he lifted his Bible to read it properly- not for sermon preparation, but for personal encounter. He knew in that moment why God wanted him in that exact room. It also turned out that all his meetings “just happened” to be cancelled for that day, and do you know what? He didn’t go for a long walk on the beach to spend time with God. He spent the day in the quiet of his hotel side- room, exactly where God had planned to meet with Him all along. Of course, we know the poster was an advertisement and we know what it was advertising, (beer) but so what? God can use anything He chooses to grab our attention, just as he did in the case of Balaam and his donkey. I was chatting to someone yesterday and in the course of the conversation my friend mentioned that before phoning me she had been having her ‘quiet time’. I asked “What’s God speaking to you about at the moment?” and my friend said “Well, nothing really”. God always speaks to us. You and I just need to learn how to listen. This is because Mustard Seed Blog highly advocates the use of Bible Gateway as a Bible study tool, whether you’re just starting out reading the Bible or your Bible is dog-eared and falling apart from use. 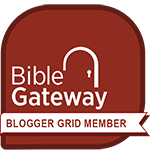 Bible Gateway offers more than 200 versions of the Bible, commentaries, Bible dictionaries, daily devotionals, blogs and many other interactive resources. Thanks, Jill, for sharing this missionary’s story. He thought he knew what he needed, but God knew exactly what he needed, and provided the time and space for him to get it. Exactly 😊 God supplies “all our needs, according to his riches in glory” (Phil 4:19) He certainly met my friend at his deepest need that day!